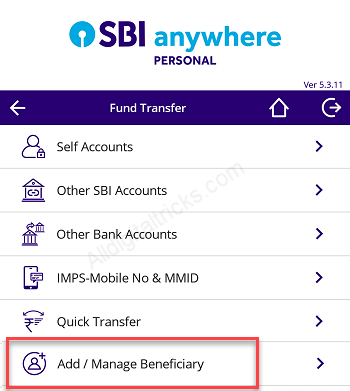 Now you can easily add Beneficiary in SBI through SBI Anywhere (Personal) Mobile Banking Application for fund transfer. 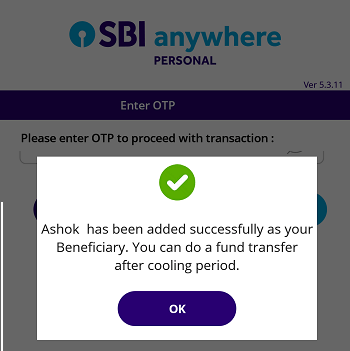 Adding beneficiary facility now available in SBI Anywhere. 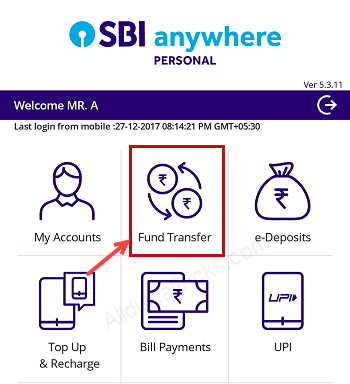 To transfer higher amount online you need to add bank account as payee first in SBI. 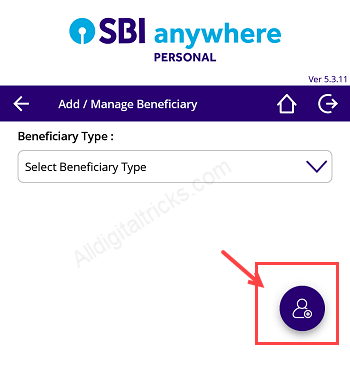 See how you can add Beneficiary in SBI Anywhere (Personal) which is available for Android, iOS, Windows Phone. If you have net banking facility then you can register on SBI anywhere to manage your bank account online. 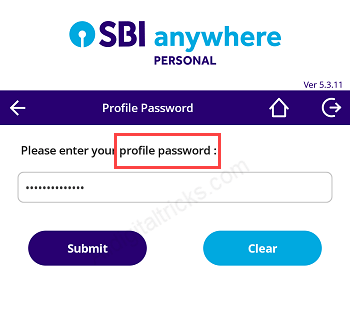 You can also use SBI Freedom login credentials to login here. If you don’t have Internet banking facility then not to worry, you can register for SBI net banking online. To Add Beneficiary using State Bank Anywhere first login. 1: After login, tap on Fund Transfer tab. 2: In Fund Transfer tap on Add / Manage Beneficiary. 3: In the next screen, enter profile password and submit. 4: To Add beneficiary tap on + icon as you can see in screenshot. 7: Now you have to select the Beneficiary category in the next screen. 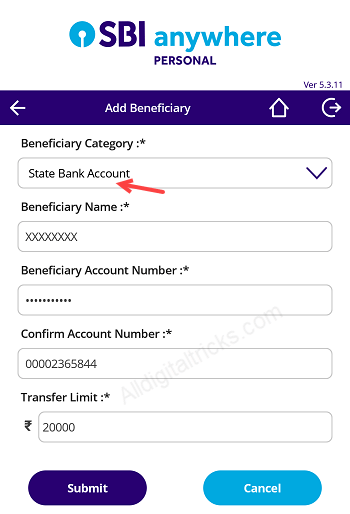 If beneficiary account in SBI then select State Bank Account & if account in other bank then select Other bank Account. If you selected State Bank Account — enter person name, account number and transfer limit and submit. Next screen confirm your details. You will receive OTP password, enter OTP and submit. That’s it, you have successfully added beneficiary, it will be activated within 4 hours. After activation you will be able to transfer money to his/her account. 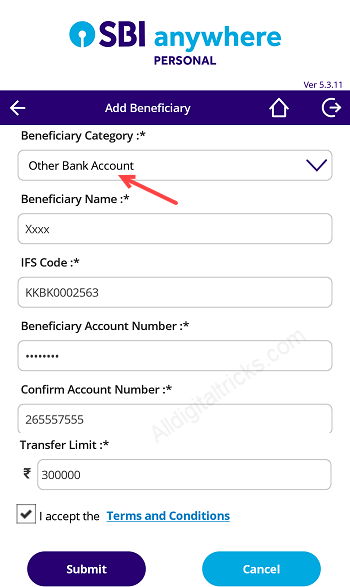 If you have selected Other bank account, then you have to add beneficiary name, account number, IFSC code and transfer limit. After adding all these details you have to confirm in next screen. You will receive OTP on registered mobile number, enter OTP and submit. Done, you have added other bank account as beneficiary. After activation you will be able to transfer money to person account. You can also edit or delete beneficiary here easily. You can edit/delete mistakenly added payee account or edit transfer limit. 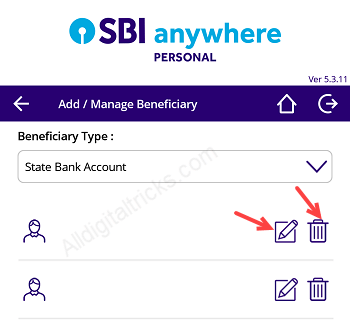 To edit/delete beneficiary, select account type and tap delete or edit icon. 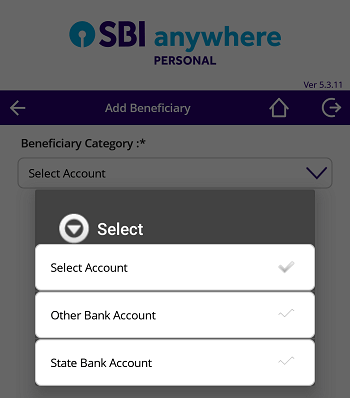 So this way you can easily add/manage beneficiary in SBI Anywhere personal without login to net banking account. Profile password required to manage beneficiary. It is authentication password for security. In net banking two type password used for security, one is login password and second profile or transaction password.